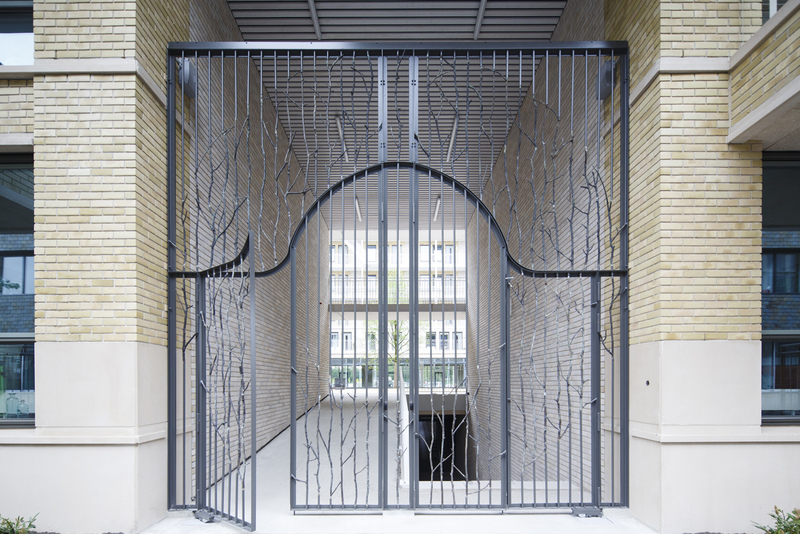 Diving into the craftmanship of a bronze- and blacksmith was needed to develop the material concept for this gate; a tree branch connecting two iron bars. Real branches of a linden tree are transformed into bronze branches in order to build the circle of the gate. 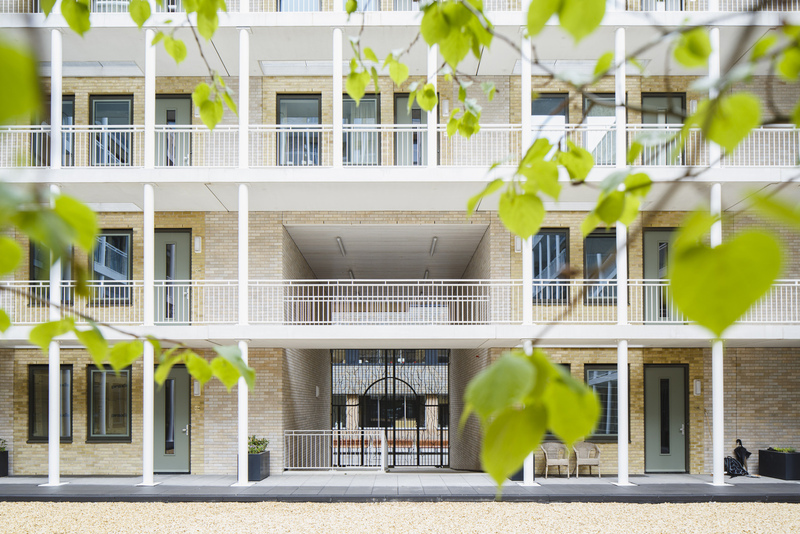 The gate is the entrance to a residential building named 'Square' in Amsterdam South. Artist Aliki van der Kruijs won a designcontest in collaboration with us, for commisioner Wonam. Aliki did an elaborated contextual research to the location of the building, next to the Plan Zuyd of the architect H.P Berlage. Berlage studied the nature drawings of Ernst Haeckel (1834 – 1919) and translated them into applied art in which his view on the abstraction of nature came to light. The tree (circle) standing in the middle of the building (square) is used as outline to design a structure. The combination of bronze and steel in this way is very rare and we had to find out some special construction elements. The whole process is very well documented and is published in a booklet to document the research and production.